Authorities in the northwestern region of Xinjiang are believed to be holding a number of ethnic minority Kazakhs for wearing "Islamic" clothing and praying, a practice forbidden by the ruling Chinese Communist Party on university campuses across the country. While sources estimated that "more than 20" ethnic Kazakhs have gone missing, believed detained, details were only available for some of them. Two of the detainees were named as Saltanati Murat, 21, a freshman student at the Traditional Chinese Medicine University in the northeastern province of Jilin, and Aliteng, 20, a first-year student at the Changchun Normal University, ethnic Kazakh sources said. "They are female university students from Jeminay [in Chinese, Jimunai county in Altay prefecture, near the Kazakhstan border]," one source told RFA on Thursday. "They were doing Muslim prayers while at university, and they were reported by their classmates to a teacher." "The teacher reported them to the police in Xinjiang, and the Xinjiang police went over there and detained them," the source said. "They didn't wear ordinary clothing, but rather loose clothing that is in keeping with Islam, like long skirts and headscarves," he said. "But they didn't wear anything that covered their faces." "They were detained more than three months ago, and there has been no news of them since," he said. Another May detainee was a man named as Alvay, 35, an ethnic Kazakh also from Jeminay county. When police took him away, they said it was for "frequent attendance at mosque and prayers," sources said. Repeated calls to the Jeminay county police department rang unanswered during office hours on Thursday. Ethnic minority Kazakh Muslims were among some 200 ethnic minority holders of Chinese passports targeted last month by Egypt's secret police in an operation activists said was requested by Beijing. The 200 students, many of them religious students at Cairo’s Al-Azhar Islamic University, were detained in a crackdown that began on July 4, rounded up in restaurants or at their homes, with others seized at airports as they tried to flee to safer countries, sources told RFA’s Uyghur Service at the time. Seven ethnic minority Kazakhs who hold Chinese passports fled to Turkey after their political asylum applications were rejected by Kazakhstan, with two others now incommunicado after being repatriated to China from Egypt. 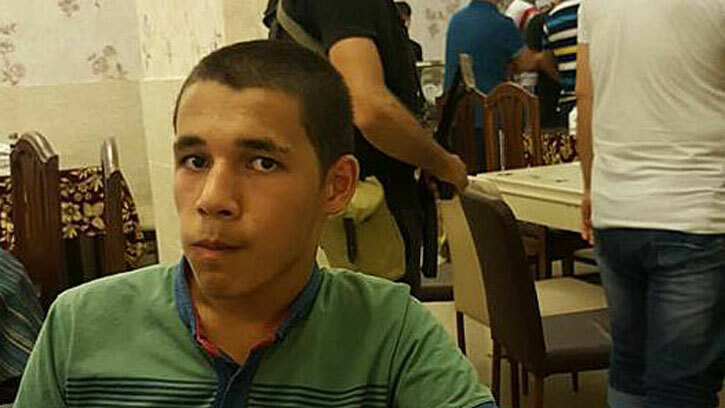 An ethnic Kazakh Al-Azhar student named as Bahdadi was recently forced to return home in the crackdown, a Kazakh source outside China told RFA. "Bahdadi's parents were being threatened [by Chinese authorities]," the source said. "The authorities lied to him, saying that they would release his parents if he just went home so they could talk to him and get a clearer picture of the situation." "But when he went home he was detained, and his wife was detained too," the source said. Bahdadi's aunt was also detained because she traveled to Egypt to visit him and returned at the same time as him. No news has been heard from the detained family members since May, the source said. Fears are also growing for seven ethnic Kazakhs who fled to Turkey to evade arrest in Cairo after their applications for political asylum were turned down by Kazakhstan. "They illegally entered Turkey from Cairo," a Turkey-based Kazakh source said in a recent interview. "It seems as if the Turkish foreign minister is keen to improve relations with China, and it will be big trouble for them if they are repatriated to China." Earlier this month, Xinjiang sentenced an ethnic Kazakh man to 12 years' imprisonment after detaining him amid an ongoing crackdown on ethnic minority groups who study or seek to emigrate overseas, sources told RFA. Former student Taghirsyz Dawutkhan was also detained in mid-May after repeatedly visiting friends and relatives in Kazakhstan, and has now been sentenced to 12 years' imprisonment with no access to a lawyer. Chinese authorities have lately issued orders for ethnic Kazakh Chinese nationals to hand in their passports and Kazakh green cards in some parts of Xinjiang, although sources said some local governments have since returned the documents to their owners following recent news coverage. Police in Arshang (in Chinese, Wenquan) county of Xinjiang's Bortala Mongol Autonomous Prefecture recently detained an unknown number of local people including farmers, herders, students and government officials, who had relatives living across the border in Kazakhstan, and were detained for the alleged offense of "discussion of how to emigrate to Kazakhstan on group chat." Among them was an official from Arshang's county town, Nurdalit Ebrey, who was detained on May 14 to an unknown location by police, with no documentation. It is good to see young potential jihadists being rounded up and put away. It is better to nip them in the bud than to wait for them to commit a terrorist act before coming down hard on them. Prevention is better than cure.